Superstar Rajinikanth starrer is adding to its phenomenal score slowly but surely. Even as the take is slowing down fast, the big number is getting refreshingly bigger. Having made the news with the earnings for so long now, there is no doubt that Kabali will be a spent force by the time next week rolls in. We have seen Kabali collections rocket up, then level off and now it is on a downward spiral that is unstoppable. With the direction and speed changing, the revenues themselves are hiccuping but still moving – they are not moribund by any stretch of the term. 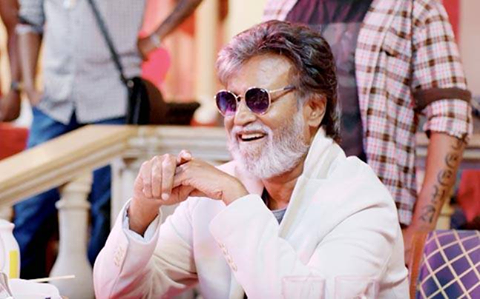 It remains to be seen whether Rajinikanth will do what Salman Khan did and that is keep Kabali movie in the cinemas and try and squeeze the last penny out of it in a desperate attempt to pad up the takings as much as possible. Beyond a point this kind of strategy does not add to the lustre of the actor or the film. Nevertheless, every person has a certain set of options and choosing the best option possible may or may not be possible. While the collections figures are massive, surely Rajinikanth must be trying to crack the northern Indian market. This time around the response was much better than his previous attempts, but still it did not make for a standout sum. The triumph would have been phenomenally bigger if Kabali collection had turned into a Rs 100 cr sum. 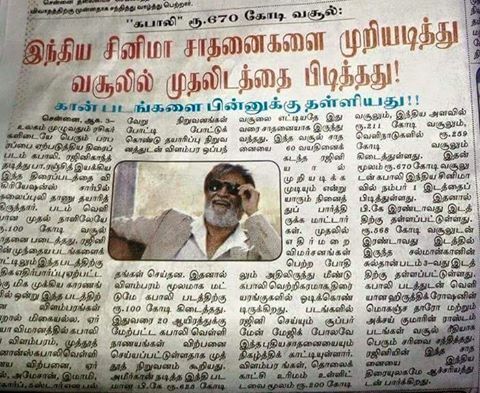 Imagine where the total collection would have taken Rajinikanth! While a Rs 1,000 cr figure would still have been out of reach, it would have put the Rs 700 crore mark easily withing reach and perhaps the Rs 800 cr mark would have been whispered about! I am a very big fan of Thalaivar. The collections given above are from ticket sales alone or have the satellite right prices been included ? I read an article from IB Times that the actual collections from Ticket sales were 350 crores. Can you guys provide the BO collections from Ticket sales only ?